Todd LaDouceur is an aggressive skilled litigator and counselor. He believes that disputes are resolved when the opposition respects his client’s positions and resolve. Similarly, cases are resolved when litigants respect the legal acumen of the lawyer facing them. Over the past twenty years, Todd has helped clients resolve problems short of lawsuits by employing legal strategies that recognize business realities and costs. If negotiating fails, Todd understands that a well-planned cost-effective approach to litigation yields the best results. Having tried scores of cases in a wide variety of legal arenas, Todd has mastered the skills that help a client decide to ‘go to the mat” or seek a reasonable settlement. 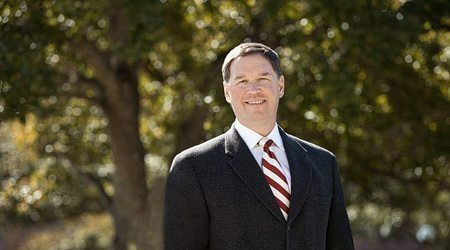 Litigating matters ranging from simple traffic court to Writs of Certiorari to the United States Supreme Court, in Florida, Georgia, and Mississippi, Todd has the experience to advise clients how to adroitly navigate the State and Federal legal systems. And knowing the probable end game makes the whole process less costly and more manageable. Undoubtedly, military service has chiseled Todd’s ability to remain calm under pressure. As a U.S. Naval Academy graduate and a commissioned officer in three branches of service, the Army, Navy and Marines – effective leadership is a hallmark of his character. A rigorous academic study of conquering outer space has honed Todd’s intellect. His degree in Aerospace Engineering with an emphasis in the orbital mechanics of the planets allows him to quickly unravel and deftly handle the most complex and intricate cases. At NASA, Todd served in the Astronaut Office at Johnson Space Center in Houston, Texas while the causes of the Space Shuttle Challenger accident were investigated. As a Marine flyer, Todd excelled as an attack jet mission commander in the A-6E “Intruder.” The Intruder’s main mission was to deliver bombs on target on time. With that goal, details matter. You become precise in planning and execution, which are traits that transfer directly to the practice of law. These demanding assignments and background prepared Todd well for his subsequent legal education. He graduated at the top of his University of Florida law school class in 1995 and has been in private practice ever since. Todd’s training and experience coupled with a relentless drive have resulted in successful outcomes for hundreds of clients including, corporations, service companies, trucking companies, commercial property owners, developers, contractors, chambers of commerce, physicians, accountants, pharmacists, real estate professionals and a myriad of other businesses and individuals, as well as their underwriters and insurance companies. Todd partners with his clients and understands that their participation and insights are invaluable to a positive result. Todd has spoken extensively on a panoply of legal topics in Florida and Georgia. He also routinely continues to handle serious and acrimonious matters in family law, probate, guardianships, civil rights, and criminal defense. From the outset of most disputes, Todd can assist clients achieve success without the unending vague and often elusive and expensive plan offered by some attorneys. And lastly, it is not an exaggeration nor boast to conclude that if you want an actual rocket scientist with 20 years of battle scars from hard fought major litigation, business negotiations, and complex deals, Todd LaDouceur can likely help.